Still Smells Like Teen Spirit After All These Years! These are busy days – insanely busy days but I have had Nirvana for company all through last week. Dunno why but Kurt Cobain has been a savior of sorts for me – first during my school, then my confused college days and now in my work life. And the impact of one particularly magnetic song can never be undervalued. "Smells Like Teen Spirit" blasted out of the TV screen in 1991 and literally changed the entire world of music. As my friends and I listened to that song, none of us could really explain exactly why it moved us like it did. The lyrics were hard to recognize. The music was grandiloquent and powerful, but it really wasn't all that world-shattering to anyone already familiar with the Stone Temple Pilots, Alice in Chains, Jane's Addiction, Pearl Jam and others like them. Still, we were drawn to that song. We took that song, and its struggle to describe the indescribable, and made it mean something more. We wrote into that song all of our own feelings that we just couldn't put into words. "Smells Like Teen Spirit" perfectly captured an angry artist questioning his life and circumstances. It was a song that wanted to ask the big questions but knew that doing so was pointless. The song defined a generation and a decade like few songs before it. Even now, after so many years since its release, I have a hard time explaining exactly what it meant to me. Like so many other people my age, I eventually became a huge fan of Nirvana. I collected their import singles, tracked down hard-to-find indie releases, traded tapes of shows, and read everything about the band that I could get my hands on. I never saw them in concert though. Maybe I was not lucky enough. I also doubt if I could have endured seeing a crowd full of drunk frat boys singing along with "Come As you Are" or "Sliver." It's easy to be jaded about the whole thing now, as I look back on how ridiculous things became. 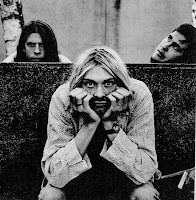 Flannel became fashionable, "Grunge" entered popular vocabulary, every half-assed band from Seattle got a record deal, heroin made a comeback, and everything on the radio and MTV or VH1 started sounding a heckuva lot like Nirvana. The copycats all got the basic sound right, they just couldn't add any real emotion or impact. 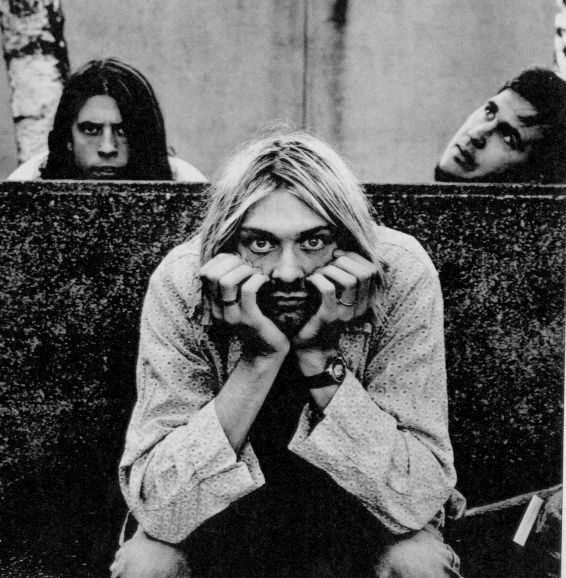 Nirvana was the genuine article, and their music mattered so much more than anyone else's at the time. And that’s what still matters!